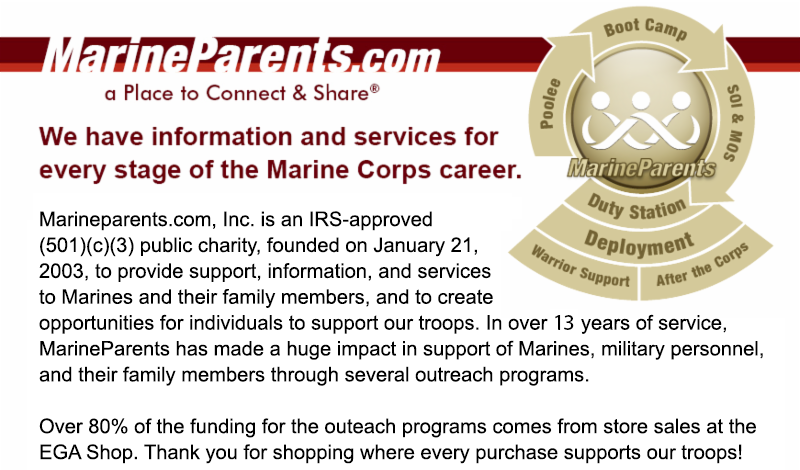 Learn How YOU Can Fundraise for MarineParents.com! 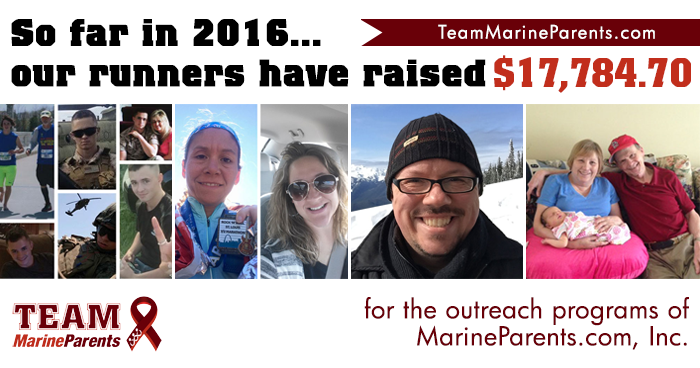 We are proud to announce that the first annual MarineParents.com Miles City Poker Run raised $500 for the outreach programs of MarineParents.com! Learn more in our first piece. 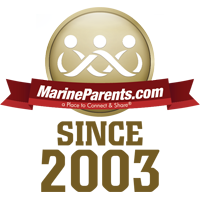 We are proud to announce that the first annual MarineParents.com Miles City Poker Run raised $500 for the outreach programs of MarineParents.com! 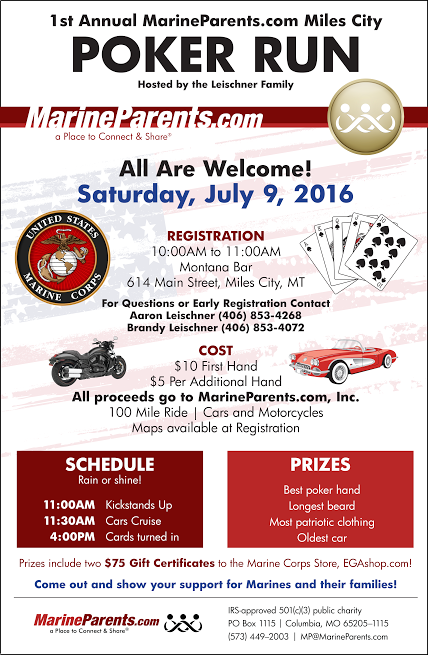 The poker run, which took place on Saturday, July 9 in Miles City, Montana, was organized by Marine Parents volunteer Brandy Leischner and her husband, Aaron, whose oldest child is their Marine. To drum up interest in the run, Brandy and Aaron hung flyers advertising the event at local businesses and restaurants in Miles City and the event was advertised in our official Marine Family Montana Facebook Group. Registration, which cost $10, began at 10:00 a.m. the morning of the event and the run began at 11:00 a.m. Participants had to have their cards turned in by 4:00 p.m. so awards could be handed out at 5:00 p.m. 100% of the registration proceeds went to the outreach programs of MarineParents.com. 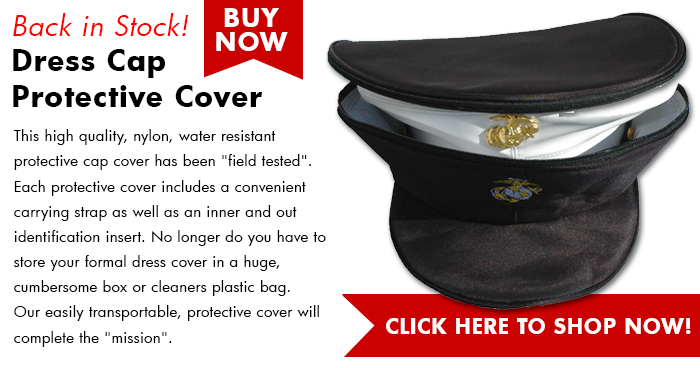 The following was written by Susan Kristol, a Marine mother and longtime Marine Parents volunteer. When your son or daughter is in a combat zone, you do not sleep except with a telephone next to the pillow. You can't decide if you should obsessively follow the news or avoid watching the news. You break into sobs while driving down the highway. You can't listen to country music songs about Arlington Cemetery, you have unaccountable fits of anger when a well-intentioned person asks if the troops get to come home for the holidays, and you hear your child's voice on via a static-filled satellite phone line only once in eight months. You don't want to look at the scary folder with the documents he had to sign, with his power of attorney and his life insurance policy designating his sisters as his beneficiaries. You know that someone in the battalion has been killed when all outgoing emails are shut down so that the bereaved family can be notified, and you swing between sadness for them and terrible relief that it's not your child. 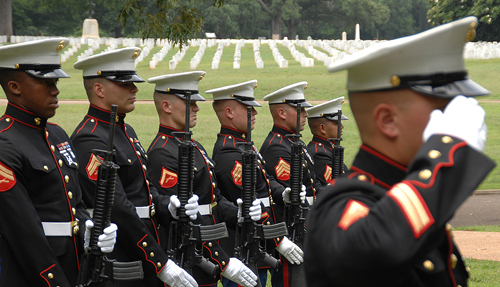 *Image info: Marines render a salute to a fallen service member during a funeral service at Andersonville National Cemetery, Andersonville, Ga., June 10, 2016. With the dog days of summer upon us, it's time to start looking forward to autumn. 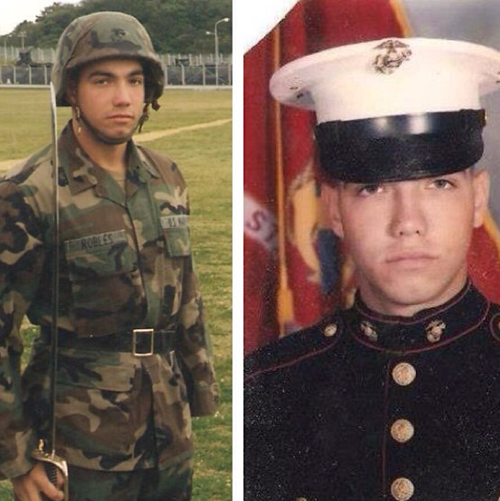 This week's TMP featured participant is a Marine from Illinois--Zeke Robles. Zeke first stood on "the yellow foot prints that forever changed [his] life" 23 years ago. Zeke challenged himself to be more physically active last year, and this year made it his goal to complete the 41st Marine Corps Marathon this fall at 41 years of age. 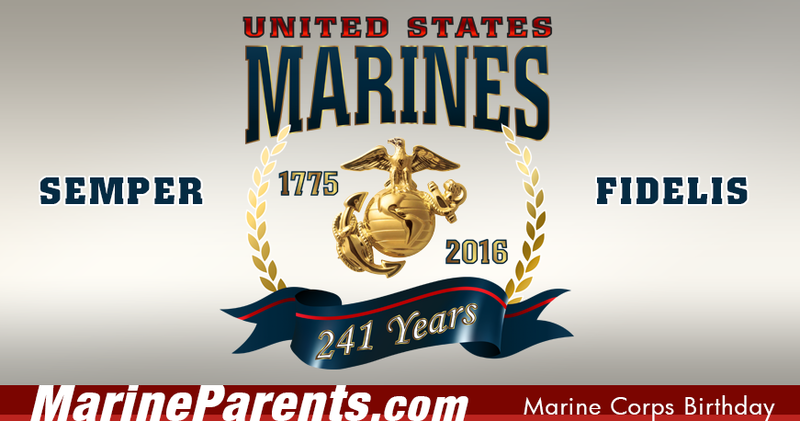 Zeke decided to join TMP, "[B] ecause they offer knowledge, wonderful support, and so many programs to our Marines (active duty, reservists, and veterans), their families, and friends as they complete their career." We are pleased to announce that Zeke has surpassed his $500 fundraising goal, having currently raised $835. Thank you, Zeke, for being a part of the team and good luck in October! *Image info: Zeke Robles during . (Image used with permission). 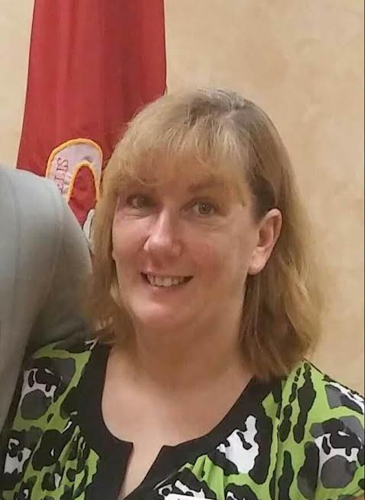 This week's featured volunteer is a proud Marine mother from Ohio--Elissa Oberstar. Elissa has been a volunteer with Marine Parents since February of 2016, initially serving as a Group Guide before assuming her current role as a Company Leader for Kilo Company, Parris Island. As a Company Leader, Elissa explains the recruit training Matrix, answers questions, and gives support to other recruit families on a daily basis. *Image info: Elissa Oberstar. (Image used with permission). 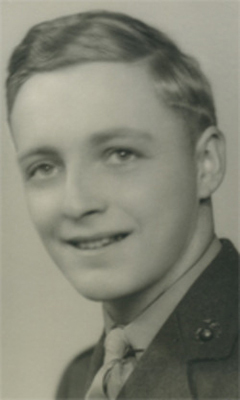 A World War II Marine who was killed on the first day of the Battle of Tarawa on November 20, 1943, has been identified and will be buried with full military honors on Monday, August 22, in his hometown of Grand Island, Nebraska. The remains of Marine Corps Private Dale Robert Geddes were among those of dozens of Marines discovered last year in a mass grave on Betio Island by History Flight, a Florida-based non-profit. DNA testing recently confirmed his identity. Geddes was one of approximately 1,000 Marines and sailors killed during the battle, while another 2,000 were wounded. *Image info: Private Dale Robert Gedde died on the first day of battle of Tarawa, November 20, 1943. (Department of Defense image/released). The Marine Corps has announced that it's looking to add assistant squad leaders to infantry units. In a statement from Marine Corps Commandant General Robert Neller, the Corps is currently reviewing the makeup of infantry units as part of its force structure review. Neller also stated that he does not expect the Corps to grow beyond its authorized end strength of 182,000 Marines, so the Corps will use the Marines it has for different missions, such as electronic warfare and cyber operations. 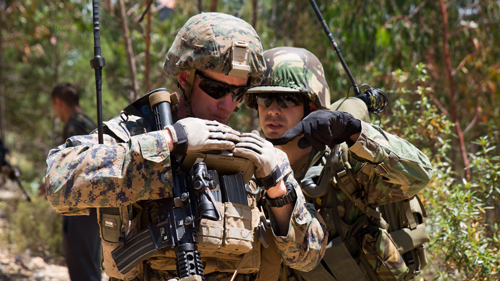 *Image info: Corporal Joshua Gray, a squad leader with Special Purpose Marine Air-Ground Task Force-Crisis Response-Africa, coordinates with a Portuguese radio operator during Exercise Orion 16 in Santa Margarida, Portugal, June 23, 2016. (USMC photo by Staff Sergeant Tia Nagle). Sergeant Reckless, a Korean War Marine Corps war horse, was recently posthumously honored in London, England with an award for animals who serve in military conflicts. On July 27, the People's Dispensary for Sick Animals (PDSA), a British veterinary charity, awarded Sergeant Reckless with the Dickin Medal, the animal equivalent of the Victoria Cross (the British equivalent of the Medal of Honor), for bravery during the Korean War. 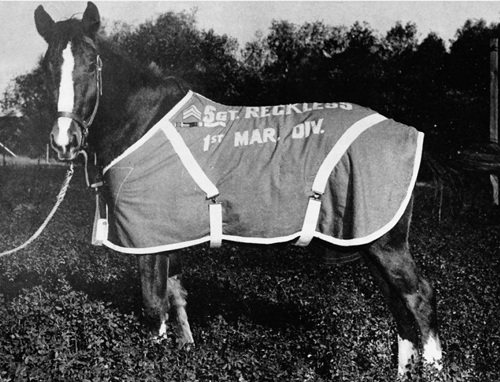 Sergeant Reckless, a Mongolian mare, was purchased by the Corps from a Korean family in 1952. She then served as a munitions carrier with the 5th Marine Regiment, 1st Marine Division and was also used to evacuate wounded troops during battle. During the Battle for Outpost Vegas in March of 1953, Sergeant Reckless made 51 solo trips in a single day to resupply front line units. She was wounded in battle twice (for which she received two Purple Hearts), was given the battlefield rank of corporal in 1953, and received a battlefield promotion to sergeant in 1954, after the war ended. She also became the first documented Marine horse to participate in an amphibious landing and, in addition to her two Purple Hearts, she was awarded a Marine Corps Good Conduct Medal , was included in her unit's Presidential Unit Citations from two countries (the United States and South Korea) , among other military honors. Following the conclusion of the war, Sergeant Reckless was retired to Camp Pendleton, California, where she lived until her death in 1968 at the age of 20. She is the 68th animal to be awarded the Dickin Medal. *Image info: Sergeant Reckless. (Public domain image/released). Twenty-six years ago this week, on August 7, 1990, President George H.W. Bush ordered U.S. military troops and aircraft to Saudi Arabia as part of a multinational force to defend that nation against possible Iraqi invasion. The following week, the Marine Corps announced that it had committed 45,000 Marines to the Persian Gulf area as a part of Operation Desert Shield, which would become the largest deployment of U.S. forces since the Vietnam War. 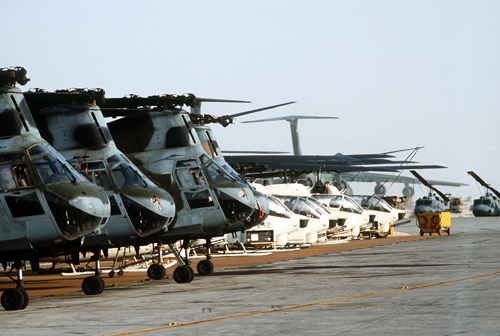 *Image info: Four Marine Corps CH-46E Sea Knight helicopters, foreground, and six AH-1 Sea Cobra helicopters sit on the flight line at Landing Zone 32 Site Alpha during Operation Desert Shield, January 1991. (U.S. government photo/released). 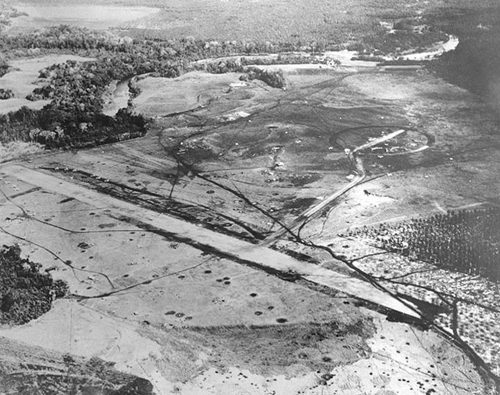 Seventy-four years ago this week, on August 9, 1942, the 1st Engineer Battalion began work on an airstrip taken from Japanese forces on the island of Guadalcanal. The work was done with captured Japanese equipment and three days later, on August 12, the first American airplane, a Navy PBY, landed on what by then was known as "Henderson Field" to evacuate two wounded Marines. Over the next few months, as U.S. Marines fought to take control of the island, Henderson Field would be the staging area for the evacuation of almost 3,000 wounded Marines. *Image info: Aerial view of Henderson Field, Guadalcanal, Solomon Islands, April 11, 1943.